It’s easy for us to say that our social media strategies are working and giving a positive return on our investment. It’s another to prove if it’s true. You can’t rely on subjective measures of success. We can see that our content is reaching people through each like, comment, and share we receive, but it doesn’t accurately answer the question that’s boggling your mind: Am I doing my social media marketing correctly? Luckily, we already have a method that can answer this question. This is called a social media audit, where we review and determine the total social media presence of each business or organization. If you want to do a social media audit of your own but don’t know where to start, check out my free social media audit template. 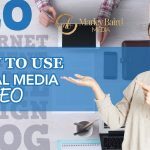 This will help in summarizing your social media presence into one place, and understand if you’re hitting your targets, or where you can improve. Instead of talking about how to perform a social media audit, what we’re gonna focus on is how to analyze your results. Compiling and determining the scope of your presence is one thing, but understanding it and fleshing out what you’ll do next to improve it is something that you should develop as well. In this blog post, we are going to discuss how to implement the data you’ve gathered to turn it into usable information. Let’s get started. There are three factors that you must review in analyzing the results of your social media audit. Page performance. Check out your social media accounts and review if they’re consistently optimized and up to date. Make sure that they all possess the right profile pictures, headers or cover photos, check their viewability on mobile; this is very important because so many of us are just always on our phones or tablets. Be concise and succinct in your descriptions. Check if the links you’ve placed are updated. Indicate if they have the right and active contact information. Content performance. Take note of the content you’ve been publishing and sharing with your followers. Review a goal of each one. Is the purpose of the content achieving what it wants to achieve? Did it help support your targets? Let’s say that the purpose of your content is to increase your sales by more than 10%. Did your post have links to your online stores? Did your post manage to increase conversions? Check these results and evaluate if you’ve underperformed or overdelivered on your results. If your posts fail to deliver on your objectives, then you should focus on your content development. Competition performance. If your post met or overperformed your objectives but they’re not consistent, the next step is to look at your competition. It’s important to understand how your competitors are doing in relation to your performance. Examine their profiles and content. See how their social media presence stacks up to yours. 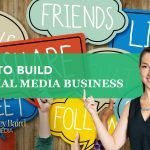 If you’re underperforming relative to your competition, you should start looking at how to revamp your social media strategy. The best way to do this is to look for opportunities where you can stand out so you can beat your rivals. Auditing your social media channels is not just a one-time thing; it’s a continuous process of checking whether your strategies are working or not. Creating a spreadsheet that summarizes your social media presence is not enough. You ask people to analyze what those results mean for you. So go ahead and download my free social media audit template so you can get started.